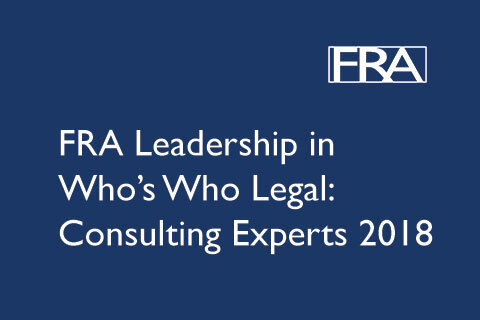 This year six of FRA’s leadership are featured in the prestigious Who’s Who Legal Investigations – Consulting Experts – Investigations – Forensic Accountants 2018. Since 1996 Who’s Who Legal has identified the foremost legal practitioners in multiple areas of business law. They feature consulting experts from over 150 national jurisdictions and pride themselves on the integrity and authority of their findings. It is impossible to buy entry into any of their publications. See below what sources had to say about FRA’s leadership team. View all of FRA’s Who’s Who Legal profiles here.